Every new Volkswagen model comes backed by a 6 Year/72,000 Miles New Vehicle Limited warranty1. But for Brandon drivers who want even more confidence in their coverage and want to pay less for service as well, the Drive Easy protection plans are ideal. Many are available with three levels of coverage, including Volkswagen Drive Easy Platinum plans. 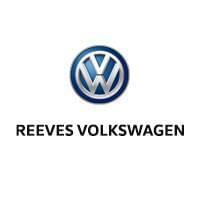 Learn what they offer, then explore the new models they are available with at Reeves Volkswagen in Tampa. Powertrain – This covers components like the engine, transmission, drive axles, and certain hybrid components. Gold – This adds to the previous coverage and includes components like front and rear suspension, climate controls, and parts of the vehicle’s electrical system. Platinum – This Volkswagen Drive Easy Platinum plan covers every mechanical feature of the vehicle unless it has been specifically excluded from the list. Examples of excluded items include the spark plugs and wiper blades. Battery – Covers the cost of one replacement battery. This program covers vehicle service performed on a certified pre-owned Volkswagen model. Coverage is offered at three levels — Powertrain, Gold, and Platinum — and is identical to regular vehicle service protection. Drivers also receive free roadside assistance, trip interruption coverage, and rental car reimbursement. The term of the protection lasts for 10 years or 150,0004 miles of travel. This program covers drivers whose vehicle is stolen. It’s intended to cover costs related to replacing a vehicle including insurance deductibles, sales tax, and down payment costs. Coverage lasts for six years and includes the following benefits. Drive Easy with Reeves Volkswagen! As you browse our new vehicle inventory, be sure to consider leasing vs. financing. And don’t hesitate to take advantage of our new vehicle specials and easy financing application. Contact us with any of your questions about the Volkswagen Drive Easy Platinum plans or other available services.